Creating a work schedule is not easy. Whether your team of employees is as large as a few dozen or as small as a handful, finding a way to fit everyone’s hours, hit minimums, and keep the team happy is tough. Fortunately, Excel can help make it a lot easier. Excel templates An Excel Template for Every Occasion An Excel Template for Every Occasion Skip the steep learning curve and sort your life with the power of Excel templates. We have compiled a selection of auto-updating templates to track budgets, manage projects, and more. Read More remain one of the most useful tools in the history of computing. They’re great for managing tasks and projects 10 Useful Excel Project Management Templates for Tracking 10 Useful Excel Project Management Templates for Tracking Project management templates can help you replicate successful projects. Here are the essential Microsoft Excel templates for you. 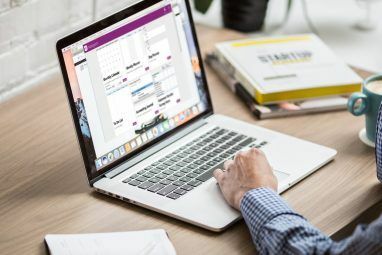 Read More , keeping finances in order 15 Excel Spreadsheet Templates for Managing Your Finances 15 Excel Spreadsheet Templates for Managing Your Finances Always keep track of your financial health. These free Excel spreadsheet templates are the tools you need to manage your money. Read More , tracking fitness progress 10 Excel Templates To Track Your Health and Fitness 10 Excel Templates To Track Your Health and Fitness Read More , and just staying organized in general 10 Amazingly Useful Spreadsheet Templates to Organize Your Life 10 Amazingly Useful Spreadsheet Templates to Organize Your Life Is your life a hotch-potch of missed deadlines, forgotten shopping and reneged commitments? Sounds like you need to get organized. Read More — but scheduling is one area where Excel really shines. Before diving into the actual scheduling process, keep the following considerations in mind. They’ll ease the entire process and reduce the amount of stress that piles up on you. Scheduling will never be easy, but it doesn’t have to be a nightmare. Know your employee’s preferences. The kind of preferences you can take into account when scheduling will differ from field to field (e.g. retail vs. warehouse), but it’s important to at least try to accommodate your workers. Do some employees have a slant towards mornings? Or maybe evenings? How many hours does each employee want per week? Are there any timing restrictions, such as an unwillingness to work Sundays? Do certain employees have synergy and compatibility? You can’t accommodate everyone, but it’s a good goal to shoot for because it can improve productivity and atmosphere — but most importantly it’ll build trust, and trust goes hand-in-hand with respect. Track employee absence requests. As if it weren’t hard enough to juggle all of your employee’s preferences, there are time-sensitive issues that will pop up every now and then. For example, someone needs a few days to take a vacation or to mourn a lost family member. Fortunately, this can be kept simple by using a versatile tool like Google Calendar 10 Awesome Google Calendar Features That You Should Try Out 10 Awesome Google Calendar Features That You Should Try Out Read More or a calendar plugin for Thunderbird 5 Extensions to Add Calendars & Task Manager to Thunderbird 3 5 Extensions to Add Calendars & Task Manager to Thunderbird 3 Read More . A quality to-do list app like Todoist (reasons to upgrade to Todoist Pro How Much More Productive Is ToDoist Premium? Here Are 6 Good Reasons To Upgrade How Much More Productive Is ToDoist Premium? Here Are 6 Good Reasons To Upgrade I kept using ToDoist for free for a while. But kept coming up against things I wanted to do and couldn't. Email reminders. Adding notes to task. Things that would really add a whole lot... Read More ), WorkFlowy (our WorkFlowy review Zen-Style Listing And Project Management with WorkFlowy Zen-Style Listing And Project Management with WorkFlowy Read More ), or Wunderlist (our Wunderlist review Wunderlist: Easy-To-Use, Versatile & Cross-Platform To-Do List Manager Wunderlist: Easy-To-Use, Versatile & Cross-Platform To-Do List Manager Read More ) can work well, too. Make the schedule ahead of time. Obviously you can’t make it too far ahead of time in case situations change, but definitely avoid waiting until the day before. A good rule of thumb is about a week in advance. If only procrastination was that easy to beat, right? Everyone struggles to get things done to some degree, which is why we’ve written a lot about anti-procrastination strategies 5 Procrastination Strategies to Become More Productive 5 Procrastination Strategies to Become More Productive Read More , avoiding Internet distractions 6 Tips Prevent Internet Procrastination 6 Tips Prevent Internet Procrastination I am a master of procrastination. Perhaps you are too. There are millions of people who suffer from crippling procrastination and it’s a real drain on productivity and efficiency. The weird thing is, many of... Read More , and really overcoming procrastination How To Stop Procrastinating: The Only New Year Resolution You Should Set How To Stop Procrastinating: The Only New Year Resolution You Should Set Kick the habit of procrastination and start taking action without waiting for the right time. Stopping procrastination is the only new year resolution you need. Here's why. Read More . By making your schedules ahead of time, you give yourself some breathing room in case sudden changes need to be made. Assign the most important shifts first. By “most important”, we mean “non-negotiable”. If someone absolutely needs to work a particular shift, fill it in first and set it in stone. Once all of the necessary shifts are filled, it’s easier to mix-and-match the remaining shifts with available employees. And always keep at least one contingency in mind. Ideally you’d create multiple schedules (e.g. 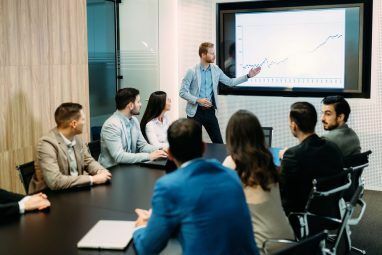 Plan A, Plan B, etc) but that can take up a lot of time, so at the very least you should identify the employees who are most likely to fall through and have a backup plan in case they do. Make the schedule easily accessible. 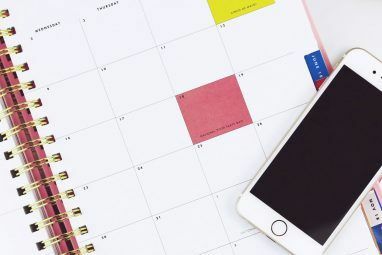 Letting your workers see the schedule beforehand is good for two reasons: they can point out any errors and they’ll appreciate the heads up so they can plan out their own weeks around the schedule. Since we’re going to be using Excel templates to create our work schedules, the preferred option is to upload them straight to Google Drive Google Drive Sign In & File Sharing Made Easy Google Drive Sign In & File Sharing Made Easy Google Drive is a cloud storage and online office service that comes with 15GB free storage and ingenious collaboration options. We show you how to access it and share documents with others. Read More . It will convert to Google’s spreadsheet alternative Excel vs. Google Sheets: Which One Is Better for You? Excel vs. Google Sheets: Which One Is Better for You? Do you really need Excel? Both desktop and online solutions have their advantages. If you have trouble choosing between Excel and Google Sheets for managing your spreadsheets, let us help you decide. Read More and allow you to share it so that others can see. Heed these tips for collaborative Google Sheets 5 Google Sheets Settings Essential for Teamwork 5 Google Sheets Settings Essential for Teamwork Google Sheets has more features to support collective data input and processing than you may think. We'll introduce you to Google Sheets functions and features that are essential for group projects. Read More if you’re new to it. And don’t worry about security. Unless you’re handling government secrets, Google Sheets is secure enough How Secure Are Your Documents In Google Drive? How Secure Are Your Documents In Google Drive? Read More for everyday users like you and me. 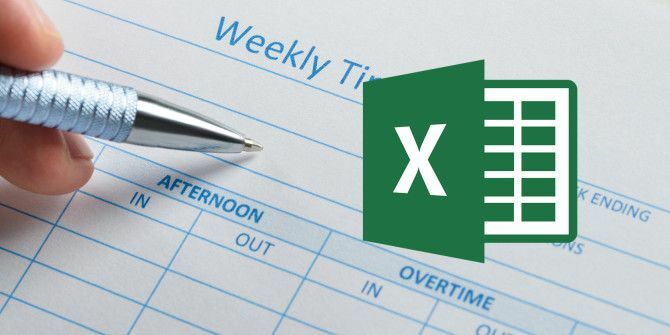 With those tips out of the way, here are a handful of awesome Excel templates designed specifically to help employers plan out worker schedules for the week. It’ll still be hard work, but much easier if you use one of these templates. Templates are available as XLSX files for Excel 2007 and later versions. This work shift schedule by Spreadsheet123 is one of the more comprehensive templates out there. It’s good enough to rival some of the scheduling software available for download on the web, yet somehow this template is available completely free of charge. When you open it, you’ll find different sheets for: Employee Register, Work Shift Schedule, Time Card, Salary Budget, Attendance, Occupancy, Settings, and Help. The Help sheet is a mini-tutorial that will show you how to get started with the schedule. Honestly, we highly recommend this one. We have a couple of other suggestions below this one, but none are as good and you should only check them out if this one is overly complicated for what you want to do (which is certainly a valid complaint). This weekly shift schedule by Business Management Systems may not be as comprehensive as the one above, but it’s great for smaller teams. It’s simpler, which means its easier to learn and easier to use. Highly recommended for those who want a middle-of-the-road scheduler. It comes with three sheets: Schedule, Shifts, and Employees. All you have to do is list your employees and their hourly rates in the Employees sheet. Then define the start time and end time for each available shift in the Shifts sheet. Afterwards, the automated Schedule sheet becomes self-explanatory. The only downside is that it can only go up to 20 employees and 9 defined shifts, making it great for small and medium operations, but implausible for larger companies. Maybe you don’t need all of the automated bells and whistles that come with the two templates mentioned above. Maybe you prefer to do things as manually as possible and all you need is a truly basic schedule to tinker with. If so, then use the one provided by Vertex42. This template doesn’t do any work at all. Its only purpose is to give you a predesigned schedule that you can fill out by hand. When finished, you can print it out (or upload it online) for everyone to see, and it’s easy enough to start afresh every week. Feel free to modify these templates to your needs, if they aren’t absolutely perfect for you (as long as you don’t redistribute them). If you want to customize, but don’t know where to begin, we recommend learning Excel formulas Need Help with Excel Formulas? 7 Resources to Consult Need Help with Excel Formulas? 7 Resources to Consult Excel is the spreadsheet gold standard. If you are required to use Excel and yet have to familiarize yourself with it, these resources will quickly introduce you to the basics and more. Read More first. And before you go printing your completed schedules, check out these tips for printing Excel sheets 7 Excel Printing Tips: How to Print Your Spreadsheet Step-by-Step 7 Excel Printing Tips: How to Print Your Spreadsheet Step-by-Step Are you having problems printing from Microsoft Excel? This guide will show you how to print an Excel spreadsheet perfectly. Read More to make sure everything comes out properly. Which template is your favorite? Did we miss any good ones? Do you have any tips or tricks for scheduling your employees? Share with us in the comments below! Explore more about: Microsoft Excel, Office Templates, Project Management, Time Management. We believe that music addiction serves as a surrogate for lost human bonds. Songs can pierce the heart directly; it needs no mediation. Weekly Bass House mixtapes uploaded each and every Wednesday. Hear us out on HulkShare! Here's the thing with excel, it's not solving a problem as much as it is a temporary fix. If you have 1-3 employees, you can probably track then using a paper and pencil each week. You can create something in excel and put it up as a google doc but in all reality, but the amount of admin time you're going to spend going back in and tweaking everything is cost prohibitive. But ultimately you need to get something that's going give you more flexibility and will allow you to make changes without having to take half an hour out of your day. At what point would you give up on Excel and move to dedicated planning and scheduling software?